The law may pass next week. The allocation of the second tranche of the EU 600m euros in the framework of third program of macro-financial assistance is only possible after the adoption by the Verkhovna Rada of the law on the National Commission for the state regulation in the energy sector and public utilities. 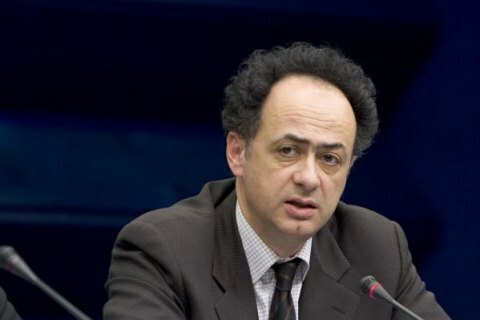 "We are very disappointed that the law on the Energy Regulator was not adopted by the Verkhovna Rada in final reading, the Head of the EU Delegation to Ukraine Hugues Mingarelli said on 13 September. "The bill is urgently needed to support further reform in the energy sector, notably gas and electricity. It will help to ensure more transparency and efficiency that would greatly benefit the Ukrainian economy and meet the expectations of the Ukrainian public and international partners." "I very much hope that the bill will be passed as soon as the Rada reconvenes in plenary next week," the new EU ambassador to Ukraine wrote on Facebook. The adoption of this law was a condition for the release of the second tranche of 600 euro under the EU's Macro-financial assistance program. The European Commission on behalf of the EU in July 2015 provided Ukraine with a loan of 600m euros - the first tranche under the new 1.8bn euro program of macro-financial assistance Ukraine. In subsequent months, the European Commission envisaged the allocation of additional 1.2bn euros - assuming successful implementation of economic and structural reforms agreed between the EU and Ukraine. Ukraine expected to receive 600m euros at the end of 2015, and another 600m in the beginning of 2016. That did not happen. Within the previous two programs of macro-financial assistance in 2014, the European Commission has allocated Ukraine EUR 1.61bn.